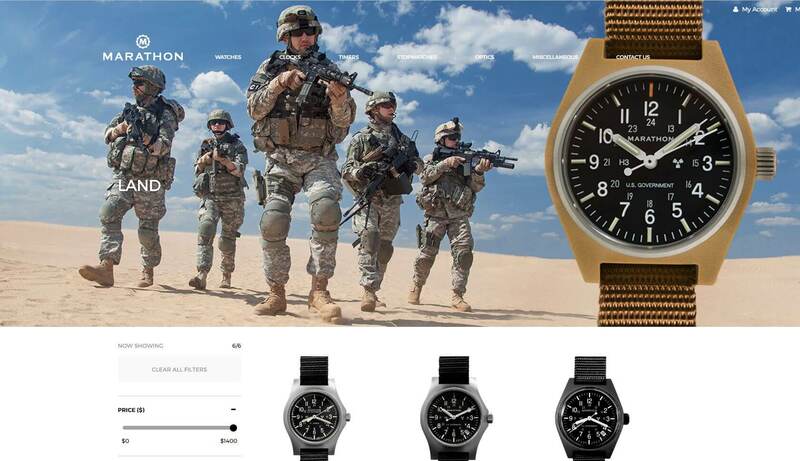 Marathon Watch has established itself as a respected manufacturer, wholesaler, and on-line retailer of watches that deliver military durability with Swiss craftsmanship to customers around the world. As its product line expanded, so did the expectations of its online customer in terms of the overall buying experience. It’s then current e-commerce platform was too weak to expand its capabilities in terms of contemporary features and functions, especially in managing the complexity of shipping beyond North American boarders. So, it was decided that the company would build a state-of-the-art e-commerce platform from the ground up and began looking for a worthy development partner. DIT was approached to develop a roll-out strategy that gave the client complete in-house control over product content and navigation; as well as a flexible administrative engine that allowed them to automate the buying experience from self-service order entry & tracking, to shipping calculations and customer notifications in order to minimize call centre resource requirements. Additional complexities were introduced where the client group-shipped packages going into the US so customized features and functions had to be integrated such that the client could maximize their own shipping and freight discounts. 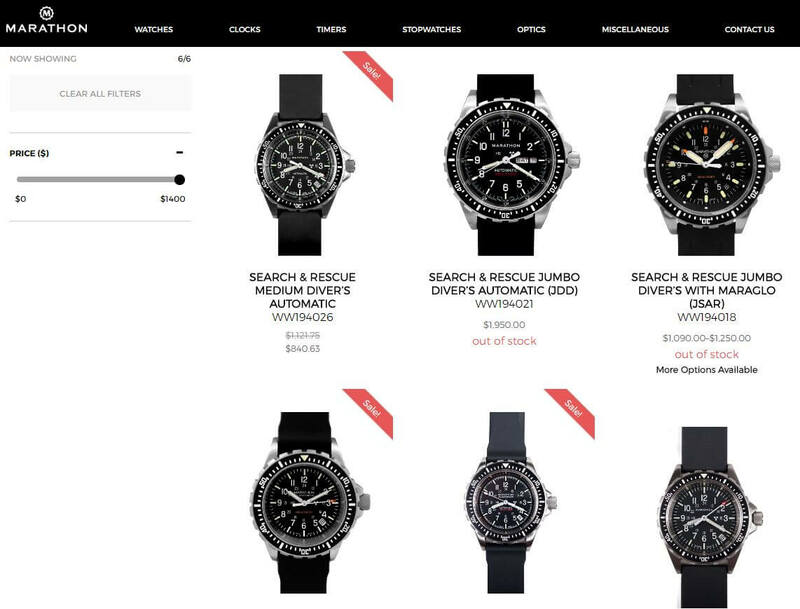 Working closely with the client’s own product and e-commerce team, DIT fulfilled all of the requirements taking the project from a printed catalogue of watches and accessories to a state-of-the-art e-commerce engine that delivers products to both military and civilian customers all over the world. DIT has all the expert services that a global client needs in terms of advice, skillsets and communication tools – and, all under one roof. DIT’s planning and design team listened to the client and carefully documented their entire wish list to ensure that they would deliver exactly what the client envisioned right from the start. DIT was able to deliver designs, proto-types and working models so that the client could experience first hand what their customers would experience before any work was begun on the final e-commerce platform. This allowed the client to carefully hone the workflow process on both sides of the transaction so that going live was “just another day” at the office.